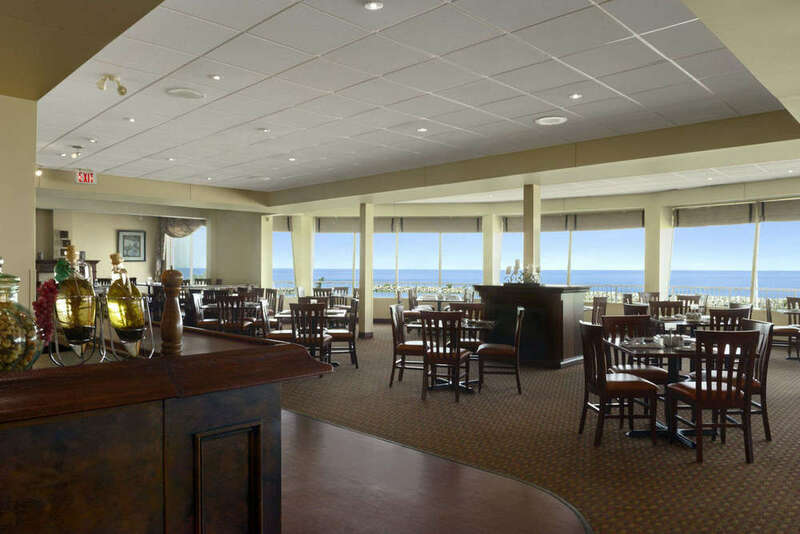 The Beacon Kitchen + Bar offers an exquisite dining experience with breathtaking views of Lake Ontario and the Toronto skyline. Our executive chef takes great pride in his unique menu, which takes classic dishes and quality ingredients and put a modern spin on them. We are famous for our steaks, seafood and crafted pastas. Our dedicated staff will guide you through an evening of fine dining, set in a stunning yet casual atmoshere. Our lounge with adjacent patio is the epitome of summer in Ontario. Enjoy a light menu accompanied by a glass of your favourite wine, beer or spirit. We offer both local and international wines by the glass and bottle, draft and bottled beers of both domestic and international varieties, as well as classic and signature cocktails. The Beacon Kitchen + Bar is open seven days a week from 7 a.m. to 10 p.m.
Don Cherry's Sports Grill - Named after one of Canada's most famous and colourful TV sports personalities, our Don Cherry's offers delicious dishes that are as unique as Don's suits. We offer daily specials as well as the classics: Chicken wings, burgers, pizza, nachos, quesadillas, hand-cut fries and much much more! 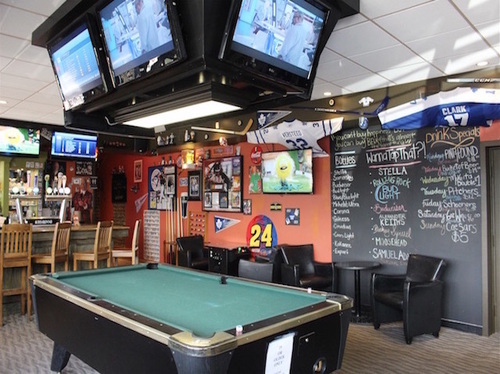 Come by for a pint and enjoy a game of pool at our pool tables or bring the whole family in to watch the game. At Don Cherry's, the game is always on!